Education and work are being disrupted. Traditional methods for supporting education business models are no longer effective, and innovation disconnected from the business model is not sustainable. As a leading education consulting firm, we support clients across the country and internationally to design, build, and implement education models that last. This distinctive emphasis on maximizing mission, market, and margin for our clients has quickly earned rpk GROUP an influential role in defining the future of education and work. Our partnerships with preeminent national foundations enable the rpk GROUP team to research and field test new models and methods. We share these with our clients, who benefit from cutting edge approaches that are grounded in real-world experience. We help education organizations create new business models that support innovation portfolio management, strategic finance, technology enabled models and the development of education products and services. We serve higher education, K-12, membership organizations, and other non-profits and for profits. Read our first evaluation of ATD’s Open Educational Resources (OER) Degree Initiative. Download the PDF. Bryan Setser joins rpk GROUP. Read the press release. 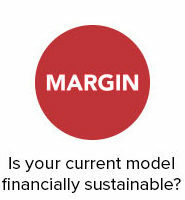 With the financial health of many education organizations increasingly at risk, the need for creating sustainable business and innovation models has never been more pressing. Yet at a time of growing urgency, exhausted financial approaches stubbornly prevail at too many of our nation’s institutions, colleges, companies, and school districts. The resort to cost cutting is a short-term and short-sighted solution, yielding temporary relief at best and lasting damage at worst. Organizations have focused on simply balancing their budgets for one more year, rather than making strategic decisions that increase the return on investment to students. Most budget processes attempt to fund historic cost structures, instead of reallocating resources to better fulfill organizational mission. 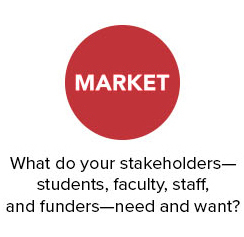 Our Mission, Market, and Margin framework ensures that our clients develop strategic answers to the questions arising in education’s new environment. 60% OF BUSINESS OFFICERS PREDICT THAT NEW SPENDING AT THEIR ORGANIZATION WILL COME FROM REALLOCATED DOLLARS RATHER THAN AN INCREASE IN NET REVENUE (Chronicle, 2016). Revitalizing and reimagining today’s education organizations. rpk GROUP serves clients throughout the U.S. and globally, including two-year and four-year schools, public and private sector institutions, K-12, charters, private schools, and systems, educational policy and governance organizations, and foundations. Our teams of experts have helped to launch new organizations, as well as revitalize traditional organizations seeking to improve the system they have while innovating towards the system they need. At rpk GROUP, each of our team members brings a unique breadth and depth to the lens of organizational transformation. 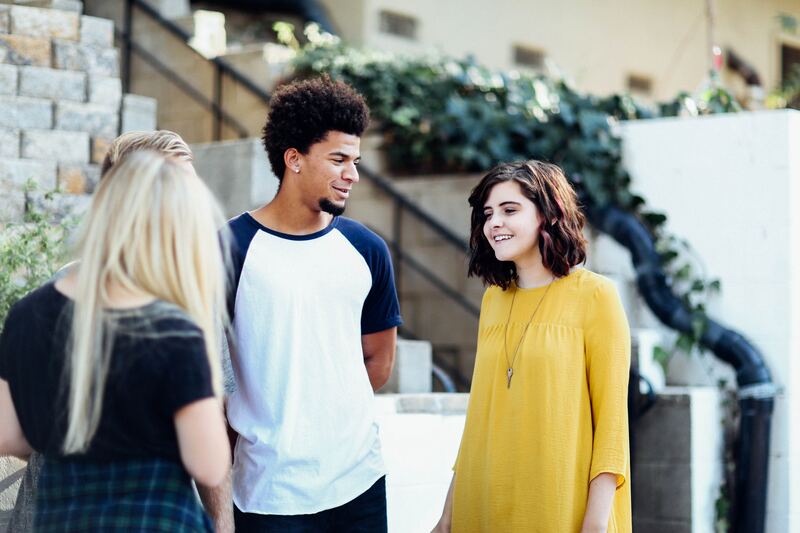 Together, they help leaders and teams create safe spaces where difficult decisions can be made through data-informed, strategically framed dialogue. Each of our team members brings significant experience serving education, non-profits, for profits, and companies. They have “sat in the chair” and understand the challenges facing your organization today, as well as the solutions that are now transforming the industry. A Study of Four New Models and Their Implications for Bending the Higher Education Cost Curve, released October 18, 2016. Profile of our work with Akilah in Rwanda — The project will be led by a small steering team of Rick Staisloff and Bryan Setser of rpk GROUP, and Michael Horn, Mike Berlin, and Lauren Dibble from Entangled Solutions. Both firms have previous experience working with organizations internationally on reshaping their academic and business portfolios and “harvesting” resources for reinvestment and new model development. Rick Staisloff of rpk GROUP talks about delivering high quality education at a lower cost in light of Boston University’s potential bailout of Wheelock College. Bryan Setser of rpkGROUP recently selected by the Akilah Institute as a global advisor. Check out the mission today to empower women in Africa through university and job training. Rather, this latest discounting study “suggests that we are nearing the end of solutions based on pricing for higher education,” said Rick Staisloff, founder of rpk Group, a consulting firm, and a former vice president for finance and administration at what is now known as Notre Dame of Maryland University. Colleges now need to focus on the other side of the equation—cutting the cost of educating students. “My experience across institutions nationally is that we have not focused sufficient attention on cost,” he said. While stories about increased cost pressures, the pace of change, and fickle student demands abound, the time has come for higher education leaders to write new stories that capture how we will create future-ready campuses.